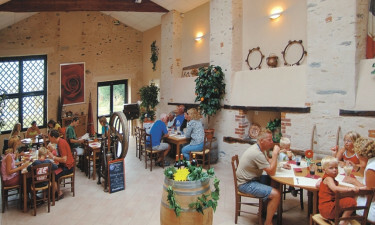 La Ferme de Latois is set around the original buildings of a historic farm located in the picturesque French countryside. The extensive grounds give kids all the room they need to release their imaginations. No dull moments are allowed in organized recreational activities, equipped play grounds, and sports fields. 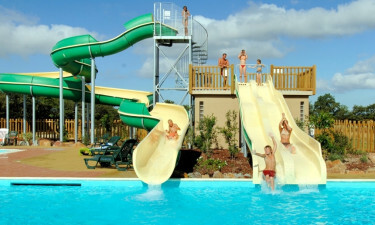 If your family loves water sports, this luxury camping site has two lakes situated at the heart of the site and an outdoor heated swimming pool with slides. You have all the luxury camping required for a leisurely holiday in your LuxCamp mobile home. 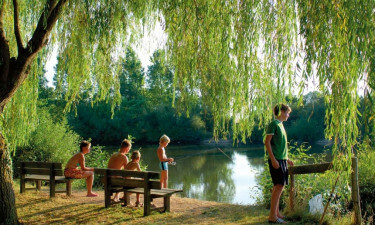 The two lakes at the centre of La Ferme de Latois are an oasis of tranquility. Take in the peace of an afternoon fishing on the banks of a lake or sail on the sparkling water. Why choose Camping La Ferme de Latois? Vendée has more sunny days than the whole of France, so plan to spend time sipping cool drinks by the side of the pool. The 300 square metre outdoor heated swimming pool includes an extensive deck area for sunbathing and a paddling pool for the younger ones. What says summer camping holiday fun better than watching your kids careen down a slide and splash into the swimming pool? La Ferme de Latois sports one double slide for side-by-side fun and a big slide for the more adventurous.